The Rev. 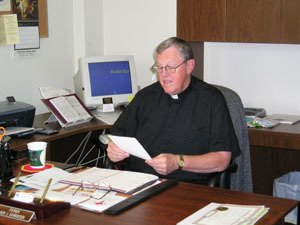 Kenneth Schroeder works in his church office. He oversees the parishes of Sts. Rose, John the Baptist, Sebastian and Precious Blood and Nativity of the Blessed Virgin Mary churches.